HONOR KILLING IN SWITZERLAND, WOMAN SLICED 29 TIMES WITH HUSBAND’S KNIFE OVER SUSPICION OF EXTRAMARITAL AFFAIR…….. – The Tundra Tabloids……. HONOR KILLING IN SWITZERLAND, WOMAN SLICED 29 TIMES WITH HUSBAND’S KNIFE OVER SUSPICION OF EXTRAMARITAL AFFAIR…….. Yes there are crimes of passion the world over, but a brutal murder such as this has deeper underpinnings. According to Swiss ”justice”, he’s expected to receive no more than 7.5 years in prison. Hebdo.ch: In april 2011, the accused appeared in front of the regional tribunal of Jura Bernois Seeland A Bienne. The accused must respond to accusations of murder leading to assassination. 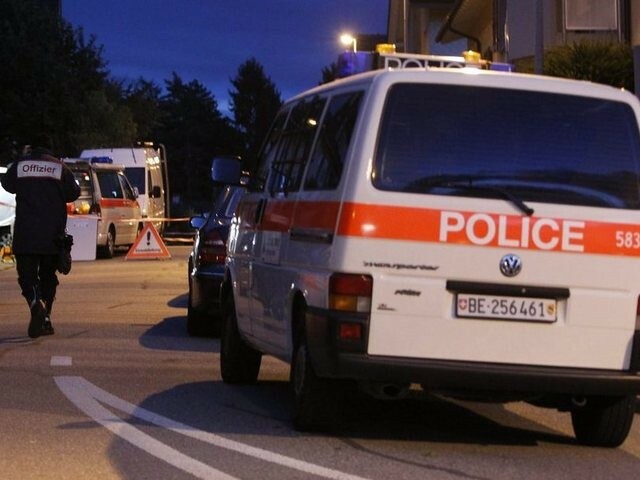 The crime was committed in Bienne at the home of the victim that was living separately from the accused, a Moroccan immigrant. Previous Post Previous Post THEBLAZE REPORTS ON LARS HEDEGAARD ASSASSINATION STORY, BULLET FLEW PAST HIS EAR, LARS PUNCHED HIM IN THE FACE…….. Seriously??? How many times must you stab a person before it’s no longer a crime of passion but a calculated assassination . Clearly the answer is more than 29 times. Think how long that would take. 12 years??? Should be executed. I agree, why should the tax payer foot the bill. Plus, incarceration is inhumane, killing is kinder.